Sea Jade has 7 en-suite rooms and one other with a private bathroom. Breakfast is served from 8am until 9am, other times can be catered for. Cornwall's most northern town and has been a popular resort from Victorian times. Come as a guest leave as a friend. I have been here several times with friends and family.The service,cleanliness and breakfast are just awesome.Saf and Ann have made several changes.They welcome you like family and their motto is true.If you need anything or ideas about days out just ask.They planned a surprise out for my wife and me. Love the rooms facing the golf course,shall be return soon.You have to book well in advance. 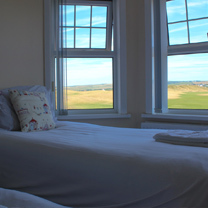 Happy welcoming couple, excellent service, rooms clean and comfortable, perfect for anyone who plays golf as the course is directly opposite and only a stone throw away from the beach. 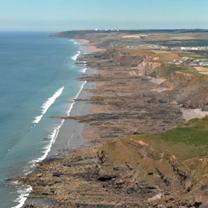 Highly recommended if you are visting bude. Such a lovely welcome from Saf & Ann, good hearty breakfast to set me up for a days walking. 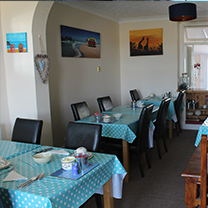 Nothing was too much trouble, good location overlooking the golf course & central to the town.If ever back in Bude wouldn't hesitate in returning.